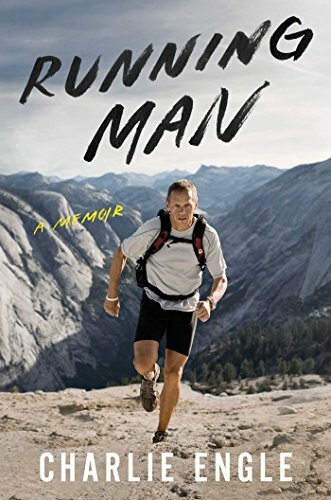 "A compulsively readable, remarkably candid memoir from world class ultra-marathon runner Charlie Engle. In RUNNING MAN, Charlie tells the gripping, surprising, funny, emotional, and inspiring story of his life, detailing his setbacks and struggles—from coping with addiction to serving time in prison—and how he blazed a path to freedom by putting one foot in front of the other. This is a propulsive, raw, and triumphant story about finding the threshold of human endurance, and transcending it." - Scribner: An Imprint of Simon & Schuster, Inc.
"Ignore the title of this book, the cover shot of its author, along with his staggering running resume. For this is not a book about running, but rather a tale about human capacity: for misery, for self-destruction, for rebirth, for redemption, for grace, and most importantly, for love. This one's got it all!" "Running Man WILL MAKE YOU CRY, LAUGH, CHEER OUT LOUD, REDEFINE WHAT YOU THINK IS POSSIBLE AND LEAVE YOU IN AWE . . . IT IS A POWERFUL AND UNFAILINGLY AUTHENTIC TESTIMONY TO SOMETHING WE ALL SHARE — WHAT IT MEANS TO BE TRULY HUMAN." "Running Man is A FASCINATING STORY ABOUT A MAN WHO HAS SHATTERED THE LIMITS OF HUMAN ENDURANCE AND LIVED LIFE ON THE EDGE." - DEAN KARNAZES, Best selling author of RUN! Choose your favorite bookstore and see why . . .
RUNNING MAN is receiving enthusiastic reviews! BUY Hardcover & Nook TODAY! Hardcover, Kindle, Audible ON SALE NOW! 20 % DISCOUNT to BAM Members TODAY!